Does your daughter show signs of becoming a savvy business person? Has she talked about wanting to be her own boss? Start a side hustle? Make some money by selling things? 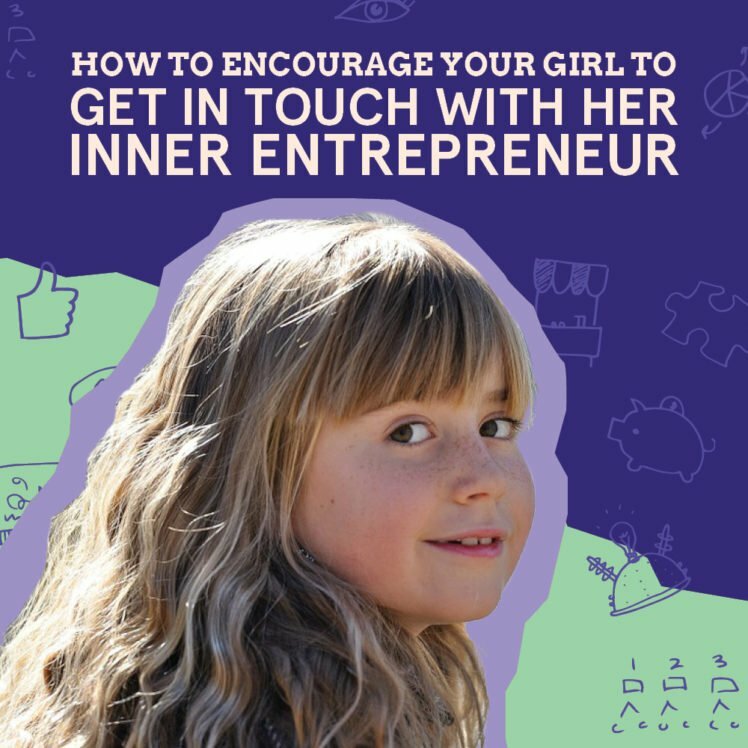 If you have a young girl in your life who is interested in the principles of entrepreneurship or the world of business, now is the perfect time to encourage her small but mighty inner CEO. Your attitude toward her dreams and goals matters more than you may realize, so be supporting, encouraging and positive. Help her to identify her passions and find ways to follow them. Does she love animals? Maybe a dog-walking or pet-sitting business would be a great summer business option. Enjoy baking? Your young entrepreneur could add some brownies or cupcakes to a lemonade stand. Talk about what she’s passionate about and help her find ways to monetize and build upon it. Discuss money management. If she’s bringing in a “paycheck,” no matter how small and even if it’s allowance or money for chores, teach her how to manage it. One idea: Explain the value of saving money by setting a guideline. For example, one-third of her income goes in the bank, one-third to a charity, the rest in her pocket. You could even set a savings goal and track it with her, and when she’s able to afford something big, she’ll understand the benefit of not squandering her income all at once. Delayed gratification is a helpful concept for kids to experience early on. Practice communication skills. Every business person needs to be able to talk intelligently about their products. Whether your daughter wants to sell lemonade, Girl Scout cookies, her babysitting skills, pet-sitting service or lawn-mowing prowess, she’s going to need to do a little selling. So, rule number one: Don’t do the talking for her. Let her be the one to initiate conversations and gain a sense of confidence in talking to adults and strangers. Start in restaurants by having her give her own order to the waitperson or counter staff. Play educational games. Monopoly is a classic and can get the whole family involved while teaching some basic business principles, but there are other online games and apps that teach kids money management and business skills, as well. In Streetfood Tycoon, your kid gets a chance to run a food cart where she determines how to finance her business, buy and serve products and make upgrades. And Bizkids has some games that allow you to design your own ads, set goals and learn about the challenges of being your own boss. Look for chances to build learning entrepreneurial skills into play. Point out good business strategy or skills when you see them. Did you get excellent customer service at the store? See someone solve a problem in a creative way? Watch a particular good episode of Shark Tank you could share with your daughter? Or maybe something happened at your workplace that could make a good teaching moment. Look for real-life opportunities to talk about entrepreneurship and explain why (or why not) someone was being a savvy business person in each situation. Help her work through failure. Some kids grow up never learning how to fall down and then get back up again. Failure is a natural part of life, and that’s important for your child to understand. Sheltering her from it or encouraging her to simply quit something that’s not running smoothly or successfully can keep her from developing important characteristics like determination, grit, perseverance and problem-solving skills. One more thing: If possible, introduce her to successful entrepreneurs you know and let her hear their stories—of both success and failure. Those people probably had role models they learned from themselves when they were younger. And she may end up with a valuable mentor who is able to encourage her in ways that stay with her for a lifetime.